Ok, in the grand scheme of things the price drop still isn’t turning this into anything like an affordable option. 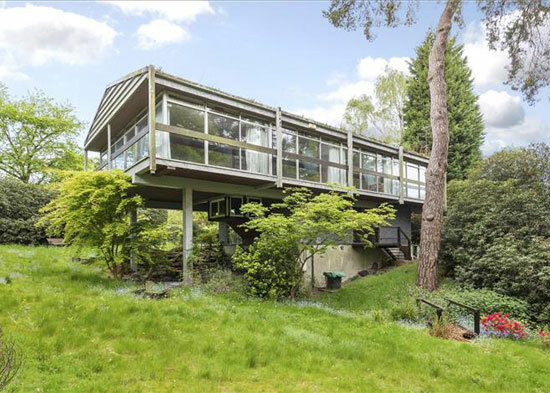 But we are mentioning the Rumba Panjai 1960s modernist property in St George’s Hill, Weybridge, Surrey on the off-chance that someone with money will love it and save it. It’s a good opportunity to put right an inaccuracy too. 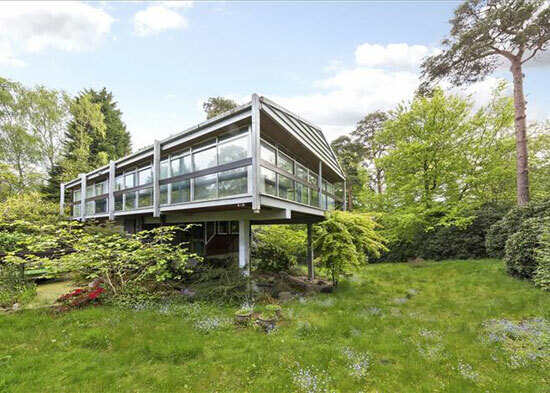 When we last featured the house, we said it was the home of Denny Hulme, a Formula One driver from New Zealand who won the 1967 F1 World Drivers’ Championship. 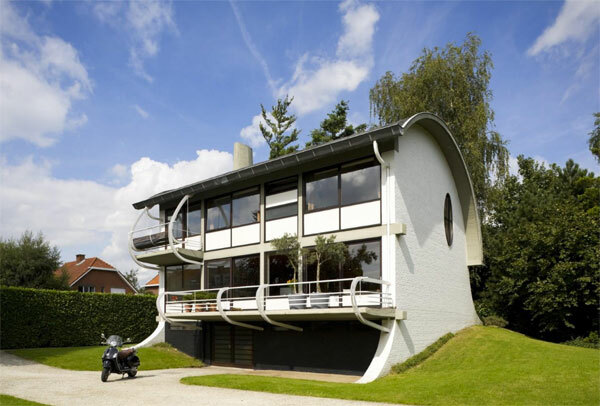 In reply to that, Denny’s granddaughter pointed out that he actually lived in another modernist property further down the road. We aren’t sure if that one still survives, but this one does for now. It hasn’t changed as far as we can tell since the last listing. 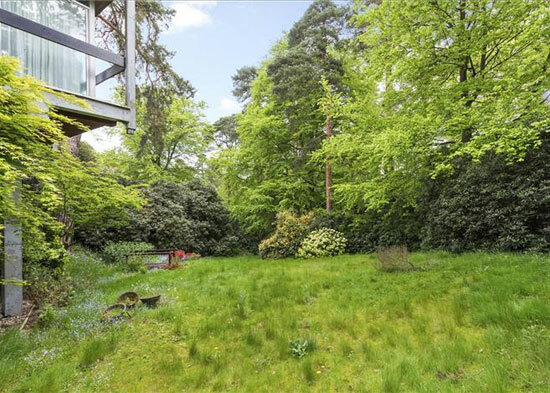 The house is still on the market for renovation or replacement (we hope for the former obviously), with the land of approaching one acre in a desirable location being a major factor in the asking price. 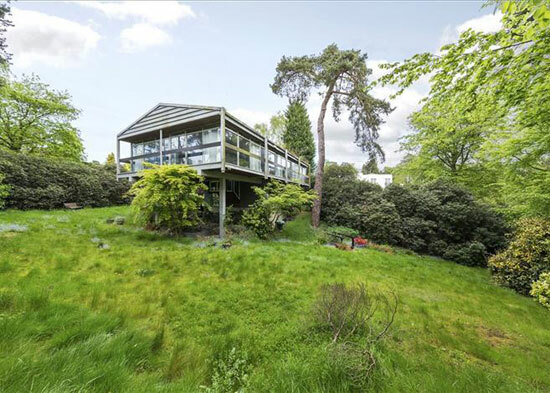 The house itself is only pictured from the outside by the agent, but rises high above the surrounding foliage, with floor to ceiling windows looking out onto the vegetation that surrounds the house. 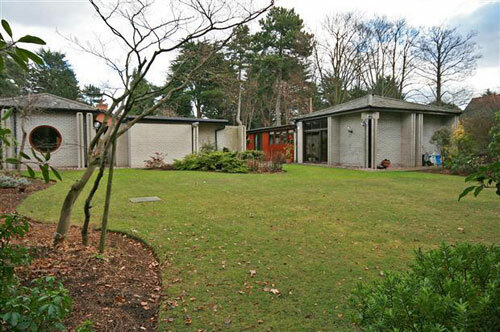 The frame of the house is pure 1960s modernism. 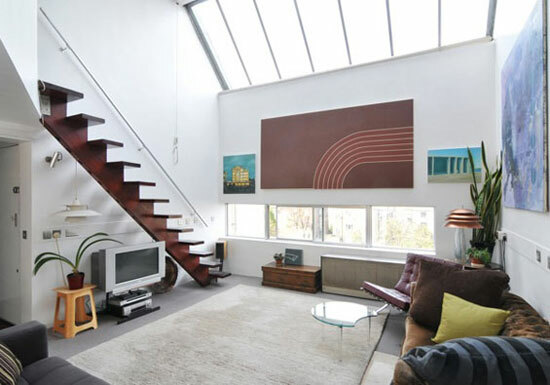 A floorplan does give us an insight into what is beyond that glazing, which is 211.4 sq. 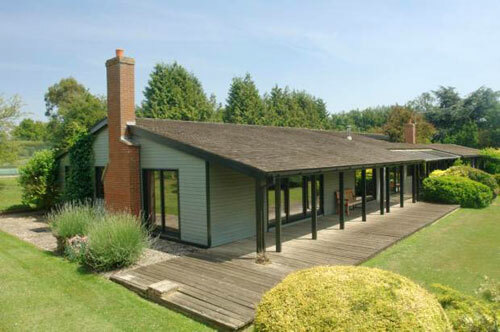 metres of living space, laid out as a large reception room, kitchen, utility, three bedrooms and two bathrooms. 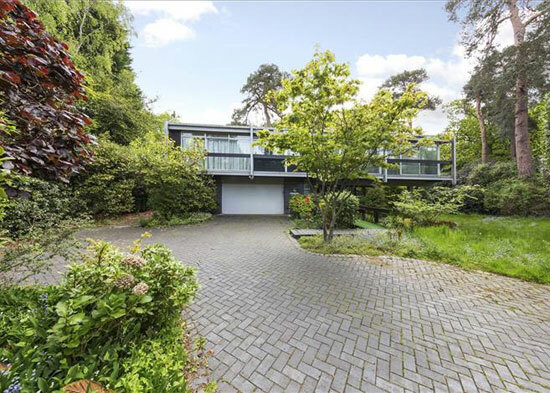 It also has an integrated double garage, plus a balcony covering two sides. 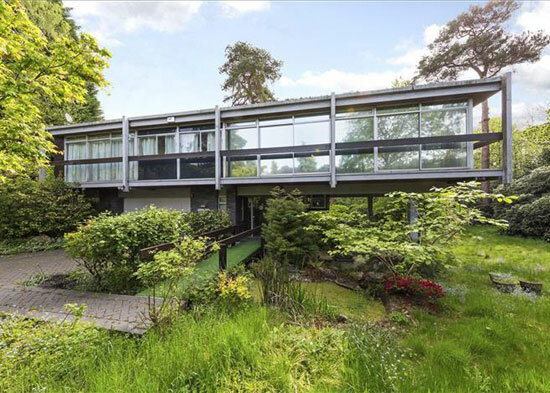 Probably a forlorn hope that this place can be saved in its present state, but just in case you have access to funds, the new and lower price is £2,450,000. Images and details courtesy of Knight Frank. For more details and to make an enquiry, please visit their website.